Junction 62 A1(M) follow A690 into Durham City. For drivers with Satellite Navigation our post code is DH1 4SL. 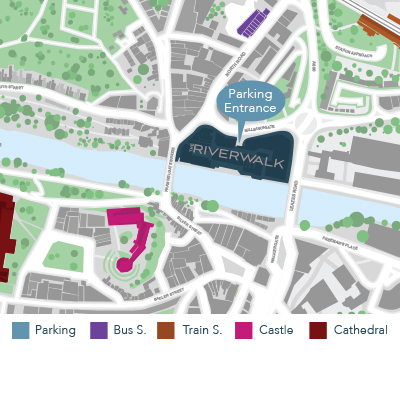 All main bus routes into Durham city centre. All Park & Ride buses stop directly outside the shopping centre. 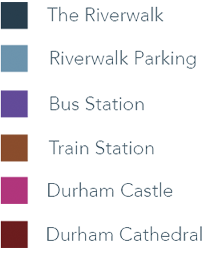 Durham train station is a 5 minute walk from the centre of Durham. 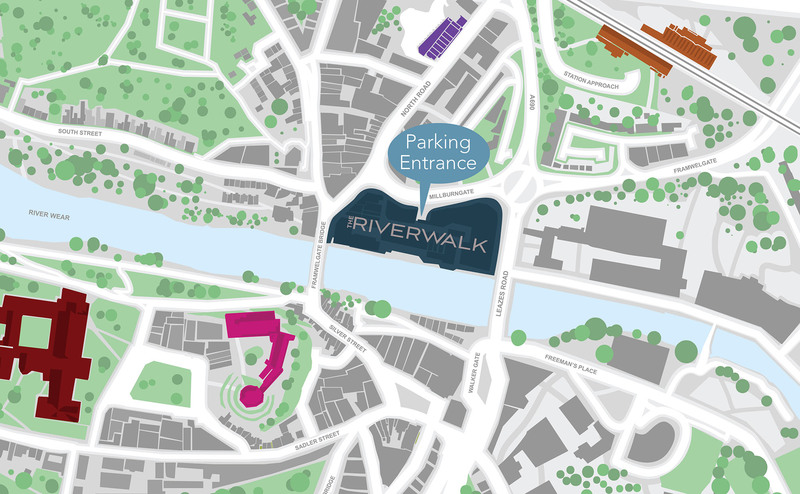 The city centre can be accessed from the station on foot, by taxi or by the Cathedral Bus.